Since I told you all about my love for Kiehls’ Midnight Recovery Eye yesterday, I thought it would be nice to add what I’ve been using in the mornings. 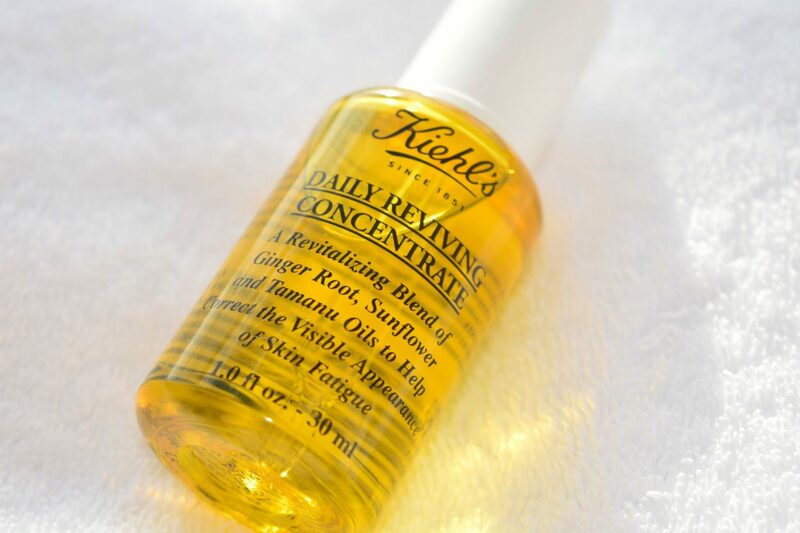 One of Kiehl’s newest products, the Daily Reviving Concentrate has been specifically designed to work as a morning counterpart to their Midnight Concentrate, and I’m rather smitten with it! 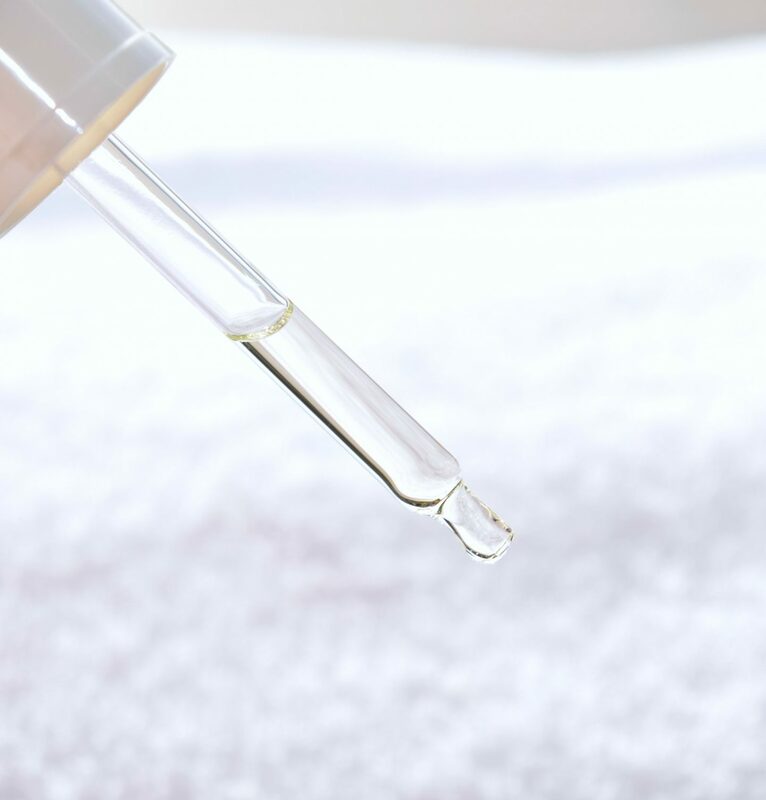 Packaged in a sunny yellow bottle complete with dropper top, you only need the tiniest amount, which I press into freshly cleansed skin. 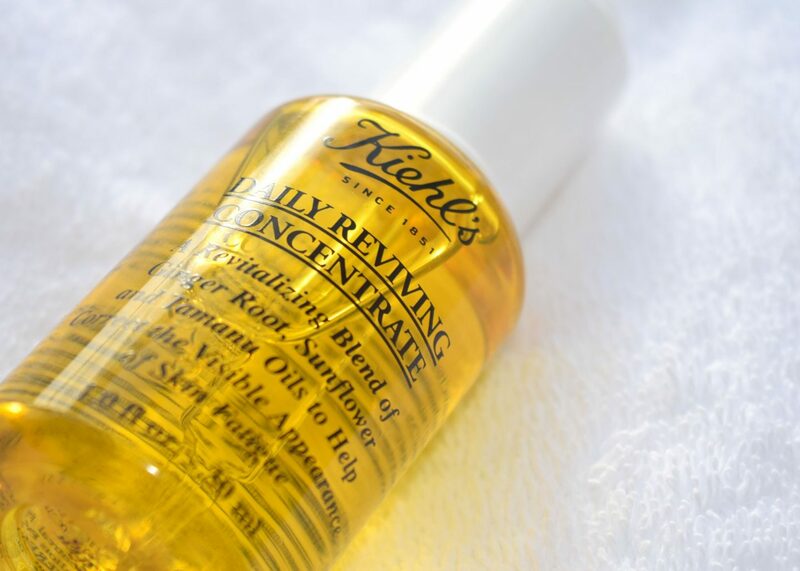 Even though the thought of applying an oil before your makeup sounds insane, Kiehl’s have formulated the Daily Reviving Concentrate to be incredibly lightweight, and my skin just drinks it up! After pressing the oil into my skin, I just apply my moisturiser as normal, and I can’t believe the difference in my skin! Despite the delicate texture, Kiehl’s have included a seriously concentrated blend of naturally derived ingredients including Ginger Root Essential Oils, Tamanu and Sunflower Seed Botanical Oils. It’s these ingredients which creates a barrier against all the pollutants we come across during our days, including the oxidation caused by UVA/UVB rays, poor air quality and even stress. It strengthens the skin’s barrier against these to keep a youthful looking appearance, and the ginger root oil protects and soothes skin, whilst sunflower seed oil, hydrates and smooths and tamanu oil locks moisture into the skin. Have you tried any Kiehl’s skincare before? I’m a big eye-creams kind of a girl. I’ve worn them pretty much consistently since I I was about 18 as I’m paranoid about preventing crows feet. One cream which has been a recurring staple in my stash, and that’s my current favourite choice is Kiehl’s Midnight Recovery Eye. It’s part of the iconic Midnight Recovery range, and it’s absolutely everything yyou could want in an eye cream! I’ve been applying the Midnight Recovery Eye every night after massaging a couple of drops of the Midnight Recovery Concentrate into my skin. 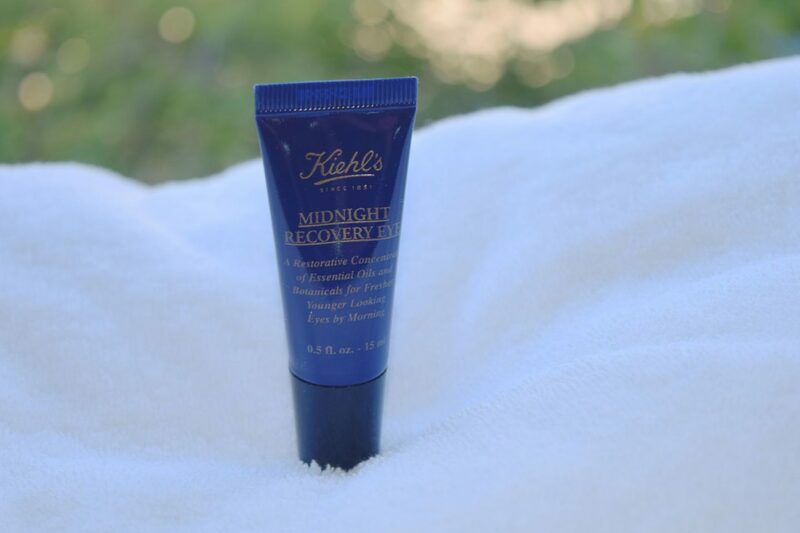 Like most Kiehls products, the Midnight Recovery Eye doesn’t contain any scents or perfumes, which means it’s great, if, like me you have sensitive skin. 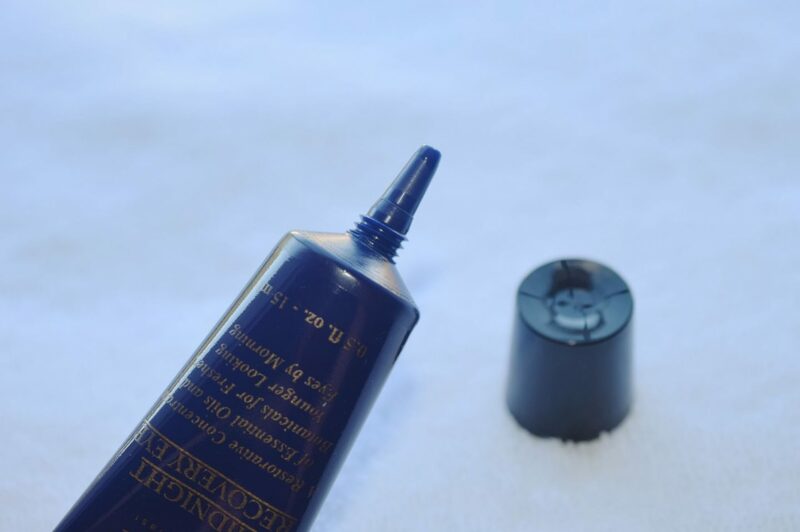 The Midnight Recovery Eye has the perfect consistency for me – it feels quite rich, and you only need a tiny squeeze of the formula for each eye. I like to concentrate the cream around the outer eye area, massaging it in with my ring finger. It feels incredibly nourishing and calming to use, and my skin is wonderfully hydrated, rather than feeling overloaded or greasy. The formula contains Butcher’s Broom, Squalane, Evening Primrose and Lavender which work to reduce the appearance of fine lines and wrinkles. I love the fact that it just disappears overnight, leaving my skin looking and feeling soft and soothed. 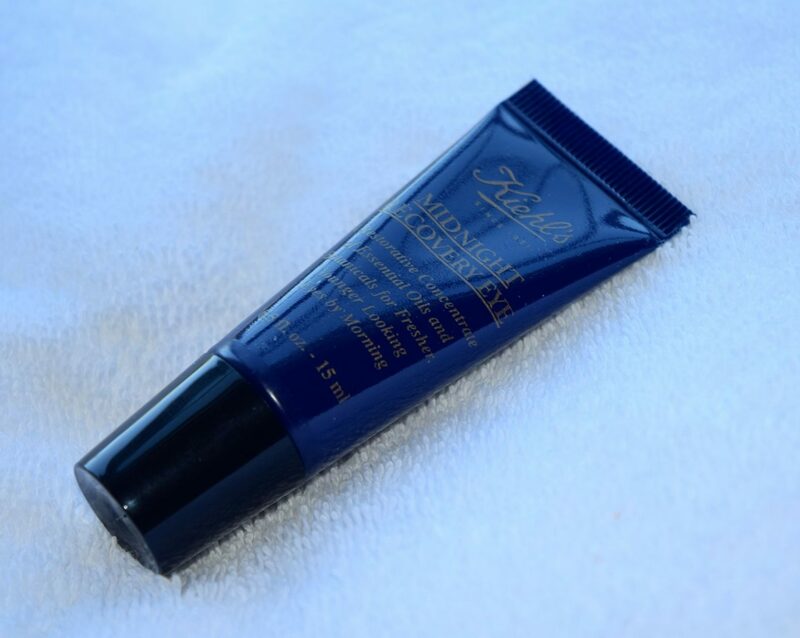 Have you ever tried Kiehl’s Midnight Recovery Eye? It’s not often that I come across a product I’ve never seen anything like before, so when Rodin’s Facial Cleansing Powder popped through the letter box, I was rather intrigued! Coming packaged in the chicest of glass bottles, the Cleansing Facial Powder means that you can easily customise the product to really suit your skin. It’s an absolutely genius idea, which, at the same time, feels incredibly simple. To use, I pour a little of the Facial Cleansing Powder into the palm of my hand, then begin to add water a few drops at a time. 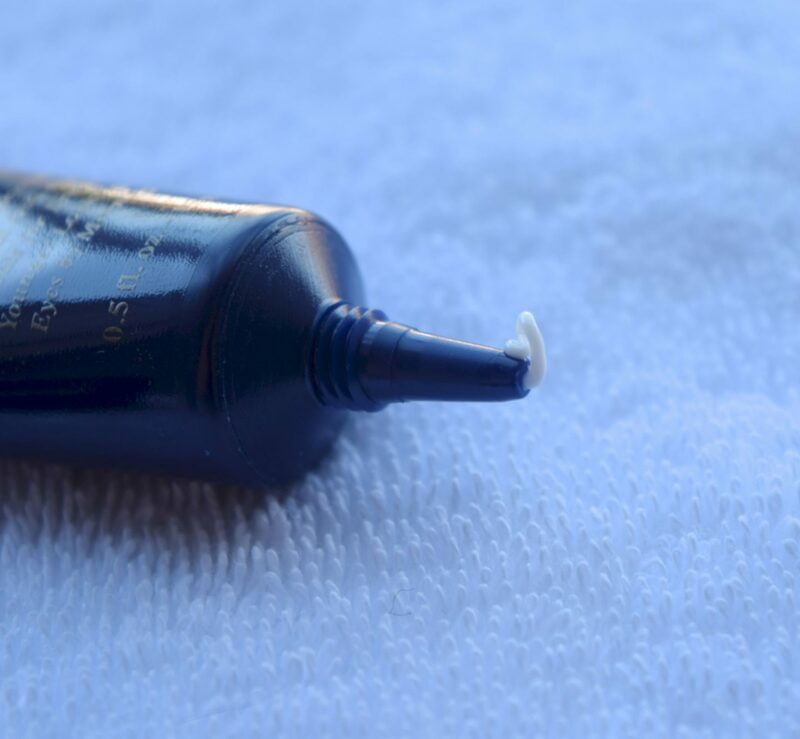 On days where my skin feels like it needs a sloughing, or if it feels congested, I only add a little water, keeping the paste feeling abrasive, then I apply in circular motions. However, on days where I wanted to baby my skin a little, I just add more water, turning the granules into a creamy feeling foam which feels so decadent to use! 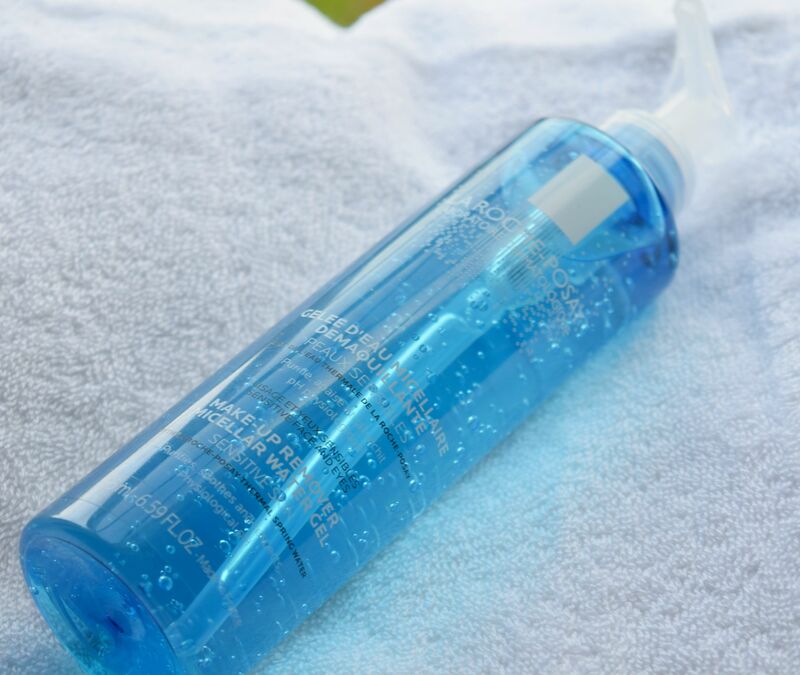 As well as feeling absolutely amazing, the Facial Cleansing Powder smells incredible! As the foam builds up, the Rodin’s signature scent of jasmine and neroli becomes stronger, and it is just such a beautiful way to start the mornings! The formula of the Facial Cleansing Powder consists of granular rice bran with moisturizing sea algae so it is a super gentle on sensitive skin like mine. Since I tend to use the Facial Cleansing Powder in the morning, I don’t need to worry about taking my makeup off, but if you’re an evening exfoliator, you will need to take it off before using the cleanser. I tend to massage the cleanser for a minute or so, and I am just in love with the way it foams up, and of course, how it smells! After I wash it off, using a hot flannel, my skin feels so, so soft, and it’s the best way to prep before applying my makeup. If there is one thing I need to do every morning and night, it’s cleanse. Even though I don’t tend to wear a tonne of makeup, by the time 5pm draws in, all I want to do is wash my face and slather some sort of moisturiser over it. 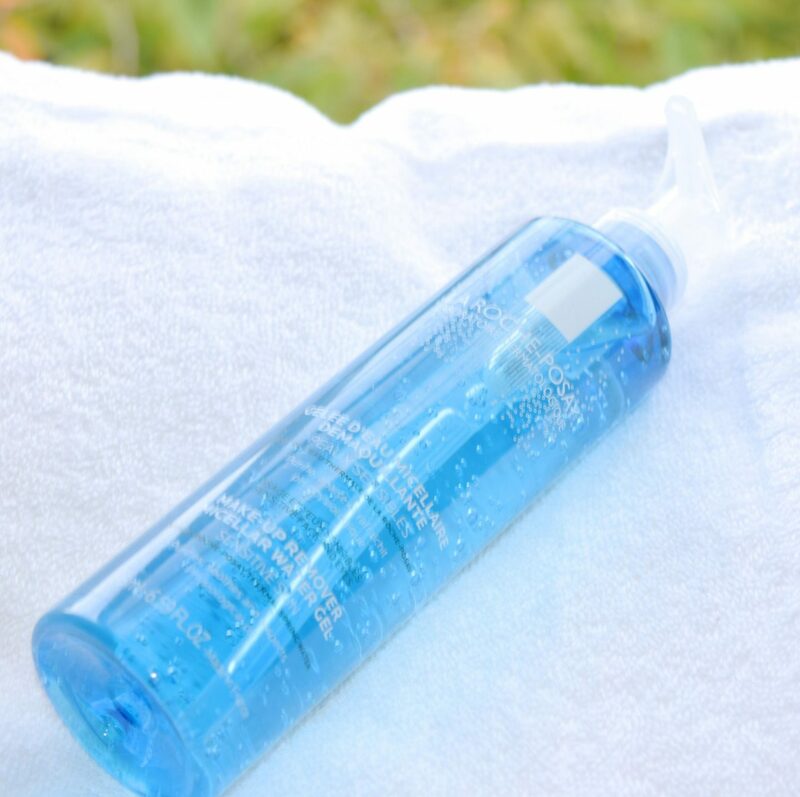 I added La Roche Posay’s Micellar Water to my cleansing regime a year or so ago, and I love how cooling it feels to apply, and how clear it makes my skin, so when I found out that they had introduced a Micellar Water Gel, I couldn’t wait to give it a go! Packaged in the same chic, understated bottles as regular Micellar Water (although the gel comes with a pump) I apply a few pumps to just cleansed skin, and then gently wipe off with a hot, damp face cloth, and follow with my evening moisturiser. 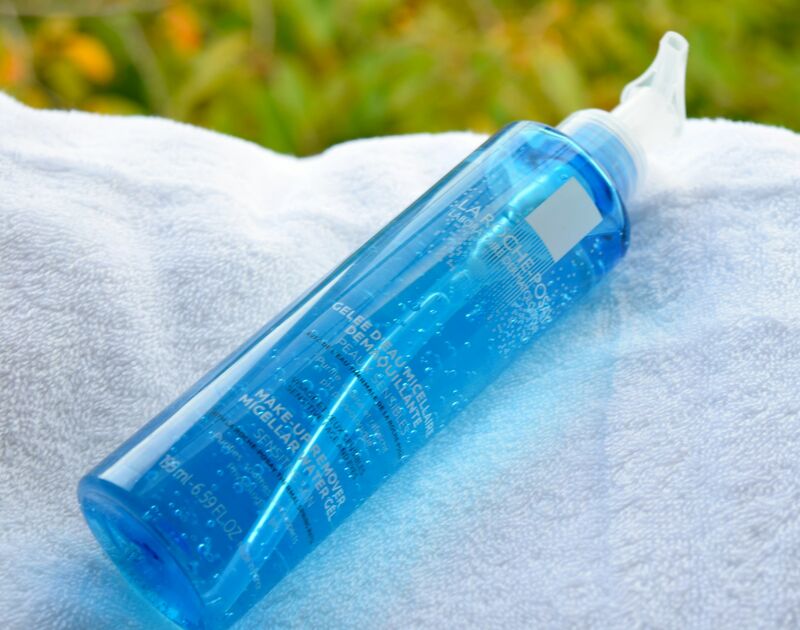 Even though it looks blue in the bottle, the Micellar Gel is actually clear, and since it doesn’t contain any soap, alcohol, paragons or colorants, it’s safe to use on the most sensitive of skin types. I don’t think I could be without some sort of Micellar Water now – I just love how the cleanse the skin, and make sure any traces of makeup are completely gone. This means my skin stays so much calmer and clearer – and who doesn’t love that!?!? Whenever I need to kill an hour or two (and spend far more than I should) I tend to head for Harvey Nichols’ Beauty Bazaar. 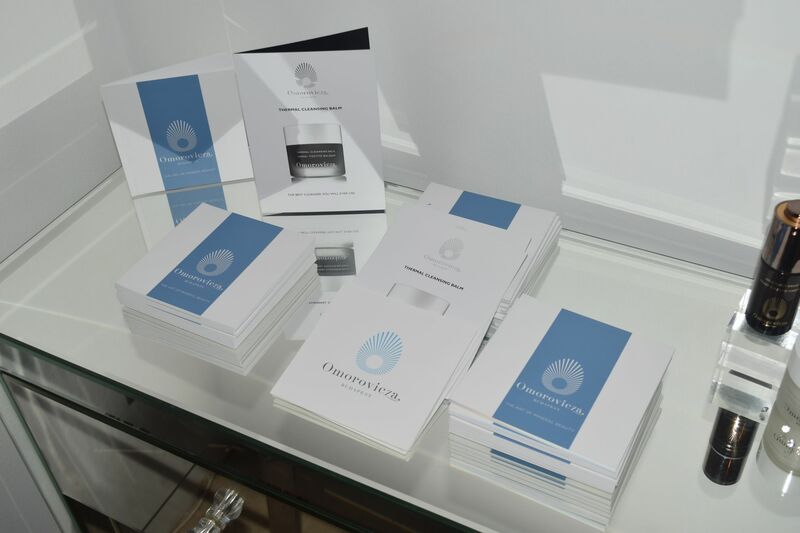 Occupying a good chunk of the ground level of the Edinburgh store, it’s a one stop shop for pretty much every brand you can imagine, and now there’s a new member of the gang in the form of cult Hungarian skincare brand Omorovicza. 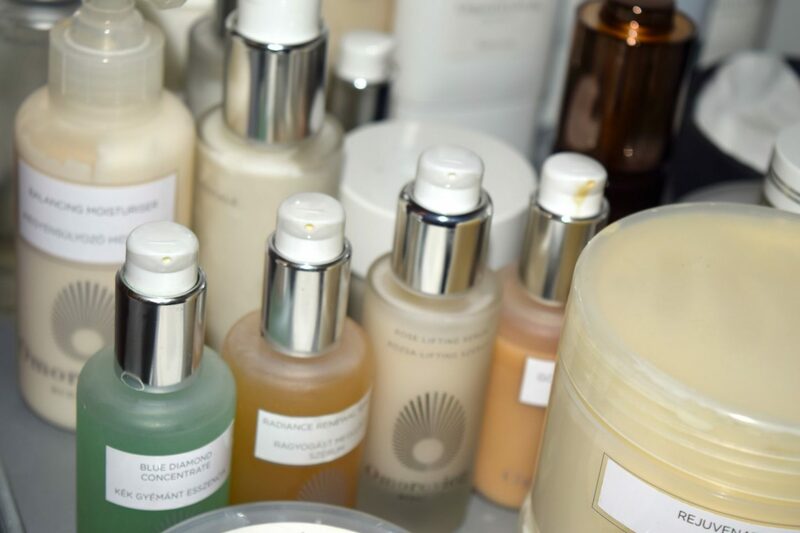 So, to celebrate this new addition to the already stellar line-up, Harvey Nichols and Omorovicza teamed up to offer facials for £50, with the price being redeemable against products bought on the day. 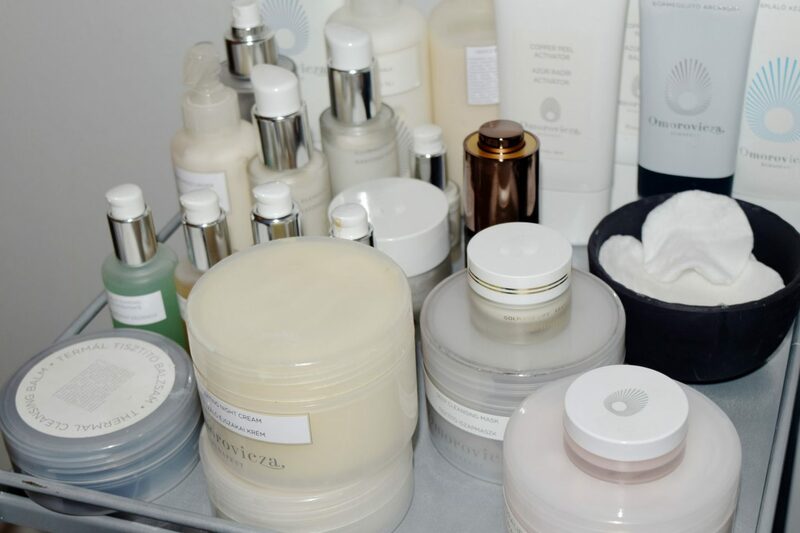 I’m a big fan of this type of facial, as it really lets you get a feel for a whole host of products, and having an expert really take time to look at your skin and recommend what would work best for you is pretty much priceless. So, on Friday afternoon, I was shown up to a treatment room tucked upstairs behind the shoe section, to enjoy one of the best facials of my life! I feel awful, as I can’t remember my therapist’s name, but she had been hand-picked from Omorovicza founders, and as we discussed my skincare routine, she explained that she thought a slightly tweaked Refining and Purifying facial would be best for me and my sensitive skin, and I whole heartedly agreed. Snuggled up in the fluffiest of white towels, I was cleansed using the brand’s iconic balm (I’ve reviewed it here) and then I got to try out the rather impressive looking Copper Peel. The product is a two-part one, with the green mask applied first, then the activator applied on top. After the gentlest of tingles, I got to enjoy an arm scrub and moisturise. By this point I was close to falling asleep thanks to the mix of pampering and Debussy music, and I was pretty much in heaven. Then, the facial went from great to amazing – the Hungarian facial massage began. I have no idea what the therapist was doing, but for a good 10-15 minutes, she drummed her fingers all over my face in a way I have never come across before. It was incredible! Apparently it’s a modernised take on a traditional Hungarian technique, and it warms up the skin so the products use penetrate deeply and really get to work. It also works as a lymphatic drainage technique, depuffing the skin and making it just glow in general. After a good amount of drumming, my skin felt silky smooth, and reluctantly, it was time to go. I go to try out Omorovicza’s BB Cream and I have to say – it’s on my wish list. 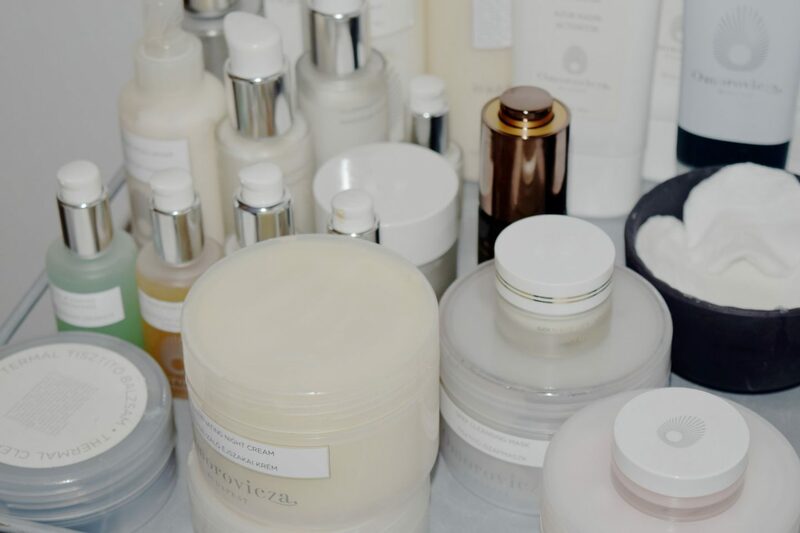 The combination of the most heavenly of facials with the skincare-filled base, meant my skin was absolutely glowing by the time I left, clutching my goodie bag of samples. In the days since my facial (in addition to dreaming about that massage technique) my skin has felt so soft and so smooth!